The Benedictine Monastery – St. Mary of the Resurrection Abbey – in Abu Gosh is one of the best preserved Crusader remains in the country. It is also home to one of the most likeable monks I have ever met. For Brother Oliver, see below. The monastery is situated in the Judean Hills at an altitude of 770 meters at the heart of the village of Abu Ghosh, through which passes one of the traditional roads linking Jerusalem with the coast. Since this Crusader church is built on one of three possible sites for the Biblical town of Emmaus, it is mandatory for many Christian pilgrims, especially Catholic pilgrims. The Hospitaller Order of St. John, now the Order of Malta, built this Gothic church at 1140 (or 1143). They mistakenly identified the site with the village of Emmaus and built here a crypt and a church, using as its foundation the Roman reservoir. At the end of the Latin Kingdom of Jerusalem (1187), the site was abandoned. The Ottoman Sublime Porte gave it to the French Republic in 1899. They placed it under guardianship of the French Benedictine Fathers. 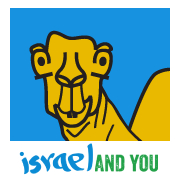 Between 1956 – 1976 it was run by the Lazarist Fathers. In 1976 Benedictine monks took it over again. A year later they were joined by a group of nuns. Today both nuns and priests live in the monastery and worship in the church. The courtyard of the church consists of gardens. 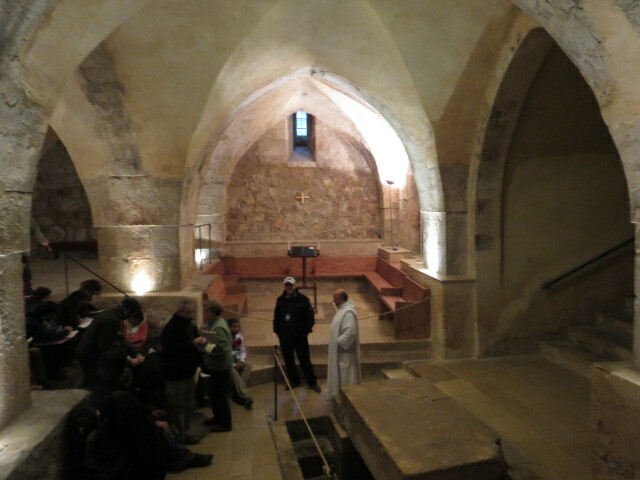 The church crypt, built on two levels, has mighty Crusader walls, with a spring flowing through it. The church is in the style of a basilica. According to Christian tradition, the spring was the biblical site of Kiryat Ye’arim. It is from here, according to the Bible, that King David carried the Ark of the Covenant to Jerusalem (2 Samuel 6:1-11; 1 Chronicles 13:1-13). The monastery’s inside walls and columns feature frescos drawn during the 13th century.The frescoes were damaged by the humidity and by deliberate defacement. Since the frescos are considered to be unique, they have been cleaned and restored. Although the monastery is Catholic, the frescos were done by Greek Orthodox artists in Byzantine style. Visiting Hours: The abbey can be visited every day except on Sundays and feast days, from 8:30 to 11 a.m. and from 2:30 to 5:30 p.m.